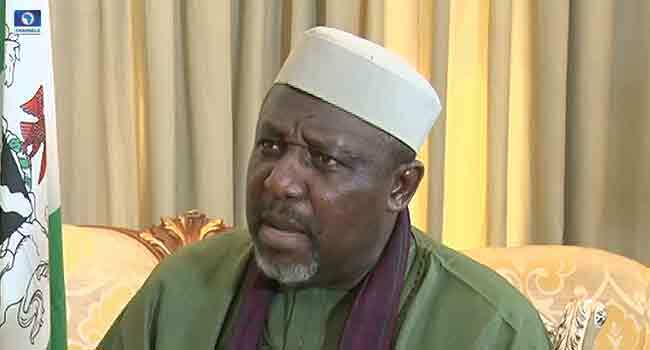 The Independent National Electoral Commission (INEC) has insisted that it would not present a certificate of return to Imo State Governor, Rochas Okorocha. INEC’s National Commissioner, Information and Voter Education, Mr Festus Okoye, said this during his appearance on Channels Television’s Sunrise Daily on Monday. He explained that the electoral body took the decision because of the returning officer for Imo West senatorial district election that he declared Governor Okorocha as the winner “under duress”. 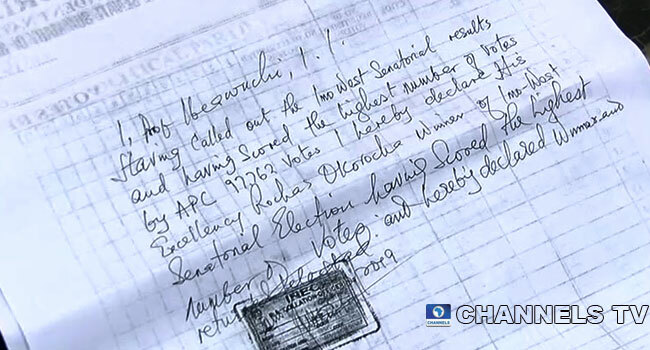 While declaring the results, the returning officer had said he was doing so under duress. Although the governor insisted he won the elections fairly and that his victory was not declared under duress, his name was not on the list of those to be given a certificate of return and despite his protests against the decision, he wasn’t given a certificate when winners got theirs last week. Asked whether the commission investigated the claim and confirmed that it was true, Okoye said “Yes”. He added, “We’ve made it clear on why we didn’t present any certificate of return to him (Okorocha). Following the incident in Imo, INEC had warned politicians, especially those seeking to be elected into public offices that it would not condone any form of electoral malpractice. 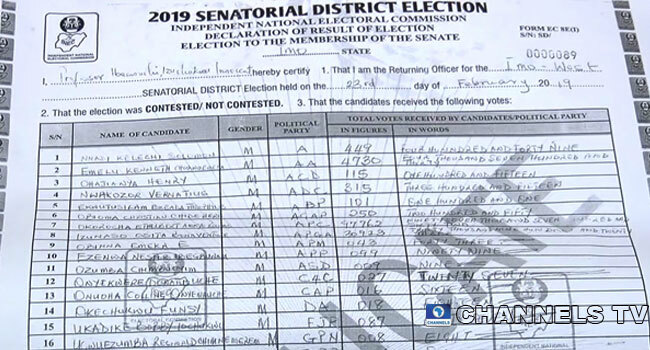 The chairman of the commission, Professor Mahmood Yakubu, who addressed a press conference on March 7, said the electoral umpire would not reward “bad behaviour” by presenting a certificate of return to anyone harassing any of their staff. On Thursday last week, INEC presented certificates of return to those returned elected in the February 23 elections. In his reaction, Governor Okorocha criticised the commission for withholding his certificate of return when he briefed reporters elsewhere while the presentation ceremony held at the International Conference Centre in Abuja. The governor, who insisted that the election was one of the best conducted in the state, said INEC was planning a special event to present him with his certificate.